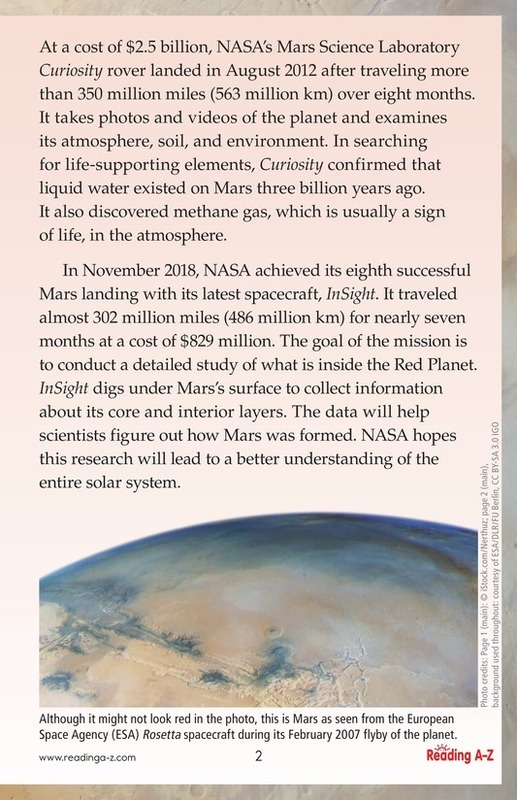 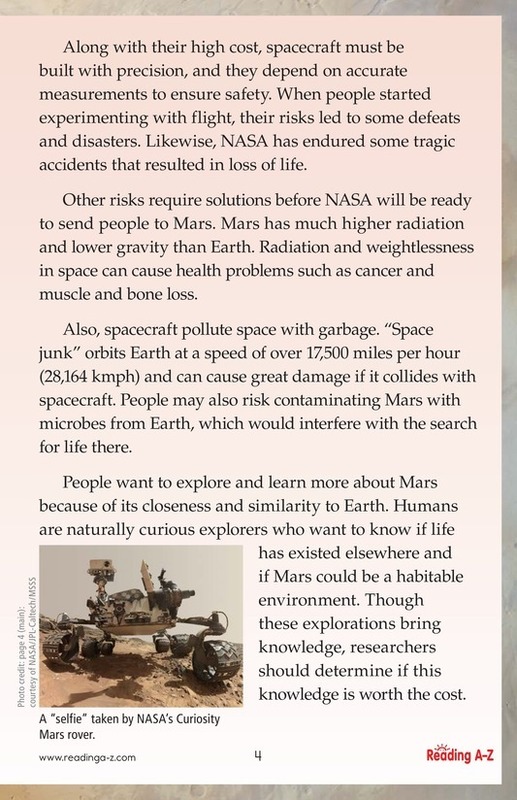 > Close Reading > Close Read Passages > Why Explore Mars? 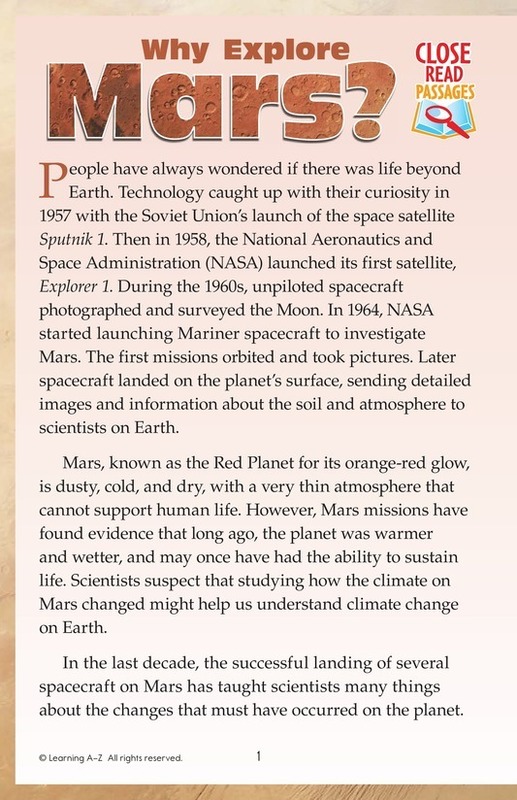 Mars missions have found evidence that long ago the planet had the ability to sustain life. 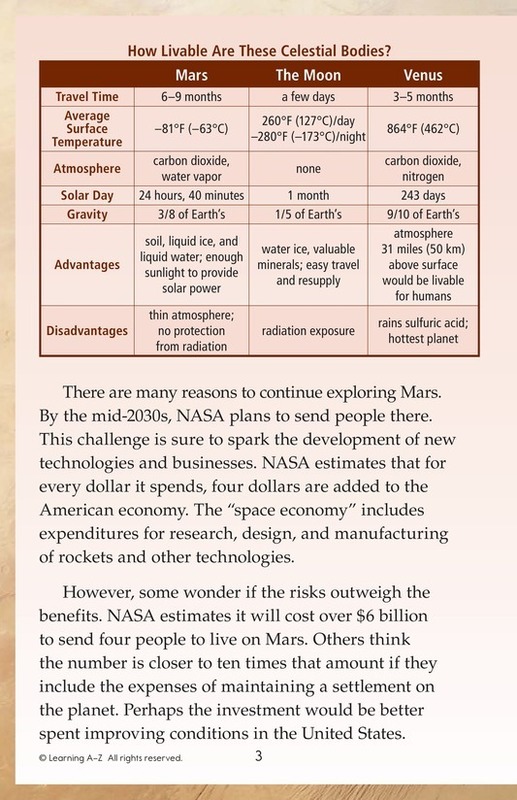 This passage discusses the pros and cons of future exploration.